Wellness Within Your Walls is the solution to affordable, accountable, and achievable healthier interior environments. We serve as the bridge between consumers and the building and design communities with a primary goal of providing education on building and designing healthier interior environments. To connect the global family with healthy, eco-sensitive products and strategies that result in beautiful, sustainable, non-toxic environments. To create a legacy of health, harmony and sustainability in living environments. Our educational programs cover each phase of the design and build process. WWYW believes education is the key to reducing toxins in the interior environment. 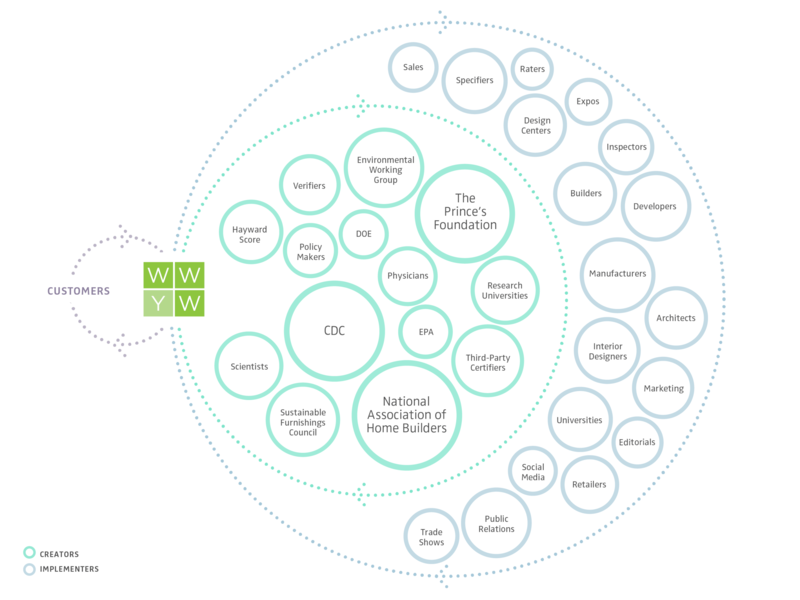 WWYW offers a large range of educational opportunities focusing on learning how to make responsible decisions before, during, and after the design and build process. We offer certification for people, places, products, and programs. WWYW’s certification processes encourage a more holistic approach to lowering toxins in living environments. We serve as the bridge connecting consumers with manufacturers, architects, builders, and designers in order to create healthier homes. During her groundbreaking work on Eco Manor—the first LEED gold certified private residence—Wellness Within Your Walls founder Jillian Pritchard Cooke discovered that consumers and professionals both needed accurate information on how to reduce toxins in the interior environment. A subsequent cancer diagnosis become the catalyst for turning that expertise into a passionate commitment to creating healthier living environments by reducing toxins. Jillian shared her passion, grew her commitment and brainstormed with family, friends, co-workers and experts in the building and home furnishings industries, and soon Wellness Within Your Walls was born. WWYW allows us all, whether in our roles as consumers or producers of home products and services, to easily make healthier, responsible choices for all interior environments.